Take the work out of labor-intensive spanakopita and turn it into a quick, crowd-pleasing dip with just a stir of the whisk and a slow cooker. Filled with spinach, feta cheese, and eggs, this Mediterranean mainstay is wonderful served as a dip with pita chips. 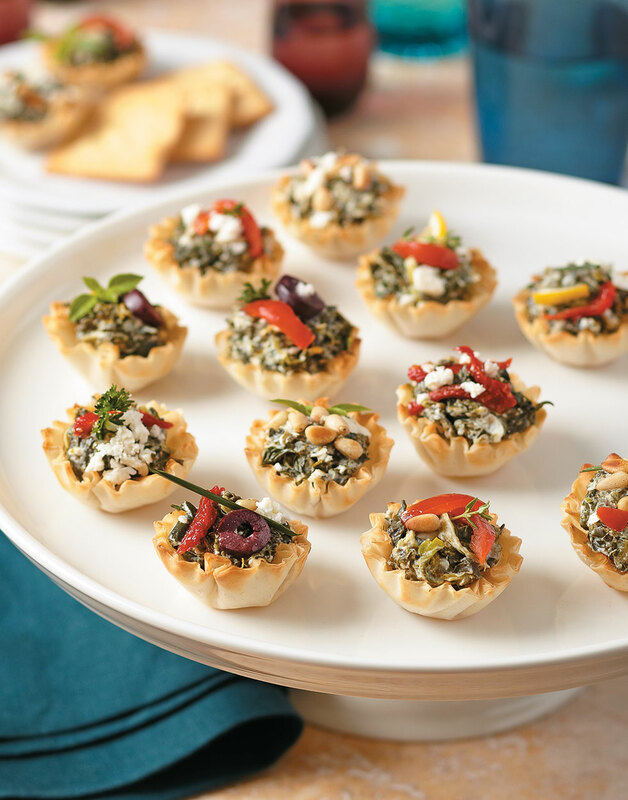 You can also turn the spanakopita dip into a plate of easy-to-eat hors d'oeuvres by serving them in phyllo shells. Whisk together half-and-half, cooking creme, onion, feta, pine nuts, lemon juice, salt, dill weed, black pepper, nutmeg, and cayenne in a bowl. Stir in spinach; transfer to a 1.5 qt. slow cooker. Cover slow cooker and cook dip on high setting, 1½ hours. Serve dip in phyllo shells or with pita chips. Garnish servings (if served in phyllo shells) or serve dip with olives, pine nuts, thyme, and pepper pieces. To remove water from thawed spinach, press it through a sieve, a ricer, or squeeze with your hands.